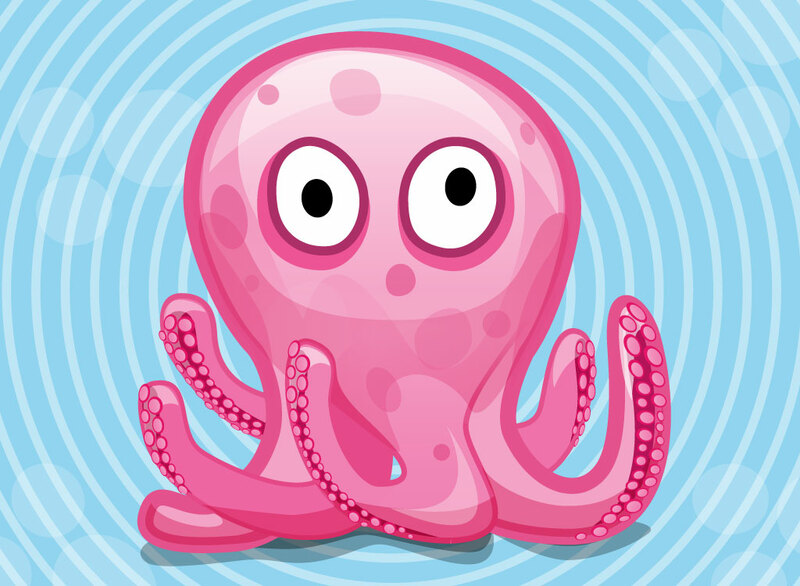 This cute octopus will look great on your ocean and kids themed designs. Bright, fun colors make it stand out and the fun design will fit perfect on greeting cards or patterns. Tags: Aquatic, Cartoon, Ocean, Octopus, Sea Creature, Tentacles, Underwater.